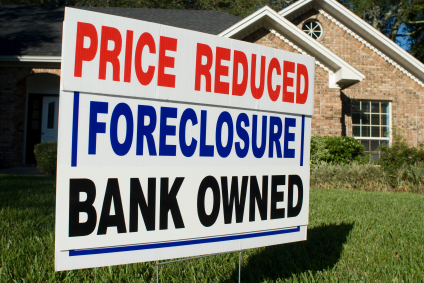 Five Ways to Sidestep Foreclosure on Your Wilmington, DE Home! As a real estate agent who specializes in Wilmington, DE foreclosures and short sales, I am sympathetic to the fact that going through the foreclosure process is soul-crushing and heartbreaking for even the strongest of individuals. Losing your home is humiliating, devastating and difficult to recover from. If there is one thing that you need to remember if you’re in danger of losing your Wilmington, DE home, it is this: you are not alone. Several people are having problems keeping themselves above water in their mortgage payments. You also need to remember that it may not be too late to rectify the problem. Part of my responsibility as a Wilmington, DE real estate agent is to take on the role as a counselor and guide. When I come across a client who is struggling to make ends meet at home, I take it upon myself to be both a sympathetic ear and a strong resource for information. If I can help any of my clients avoid a Wilmington, DE foreclosure, then I absolutely do everything I can to help. These five tips could help you avoid the landmine commonly known as “foreclosure” and get yourself back on track to being a happy homeowner. 1. Don’t deny. Face the problem head-on. If you’re one of those people who throw all foreboding, bad news-bearing mail in the trash, I have one word for you: stop. Denying your financial issues won’t get you anywhere in resolving them. If you address each piece of mail as it comes, then you can possibly find a solution early-on and avoid the initial stages of the foreclosure process. 2. Contact your lender early-on and explain your situation. This sounds frightening, and it may not get you anywhere, but I ask you this: is there any harm in trying? If you call your lender when you realize that there’s a problem and explain your struggle, there’s a chance that they’ll adjust your monthly payments to be more affordable or come up with a repayment plan for missed payments. There’s something to be said about people who take responsibility for their issues early-on, and that will receive a better response than acting as though the problem doesn’t exist. 3. Study up on your mortgage rights. If you find that you’re struggling to make payments, then dig up the pile of loan documents that you received when you first bought the home. They may contain information about what your lender can do for you, should you fall behind on payments. This is valuable information to have, so don’t neglect to be aware of it. It could help you avoid a messy situation. 4. Consider selling your Wilmington, DE home. I know that this sounds extreme, but think about it. Selling your home is much better, credit-wise, than having it taken away from you. You could also use the money from the sale to pay back mortgage debt and selling costs. If your home takes awhile to sell, then chances are your lender will stop all foreclosure proceedings once the house in on the market, relieving stress. 5. Explore a Wilmington, DE short sale as an option! Although it is still bad for your credit rating, going through a short sale is still a much better option than going through a foreclosure. The term “short sale” refers to the process that takes place when a lender is willing to let a homeowner sell their property for whatever they can get. After closing, the lender takes what money the home was able to sell for, and all other debt is forgiven. While there is still a bit of a financial recovery process after a short sale, it is less damaging than a foreclosure, and you will be able to move on with your life much faster. As a Wilmington, DE real estate agent who specializes in short sales and foreclosures, I do everything I can to ensure that anyone who approaches me and expresses that they are having financial issues avoid the painful foreclosure process. The five tips listed above are only a few of many ways that you can sidestep foreclosure on your Wilmington, DE home. If you have any questions about how you can stay above water in your home, don’t hesitate to contact me! I’d love to help you in any way that I can. I hope to hear from you soon!